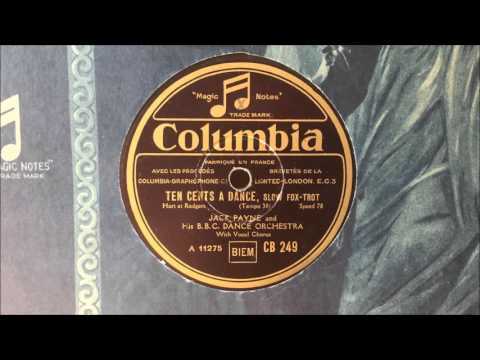 “Ten Cents a Dance.” Music by Richard Rodgers, lyrics by Lorenz Hart (1930). Recorded by Jack Payne and His BBC Dance Orchestra, with vocals by Elsie Carlisle. London, March 31, 1931. Columbia CB 249 mx. CA11275. “Ten Cents a Dance” was composed for the 1930 musical “Simple Simon” and was originally supposed to be sung by Lee Morse, but she is said to have shown up drunk to the premiere, and producer Florenz Ziegfeld, Jr. replaced her with Ruth Etting. “Ten Cents a Dance” is the lament of a taxi dancer, a female “dance instructor” who would dance with a male patron in exchange for a ten-cent ticket that he would buy and for which she would earn a small commission. 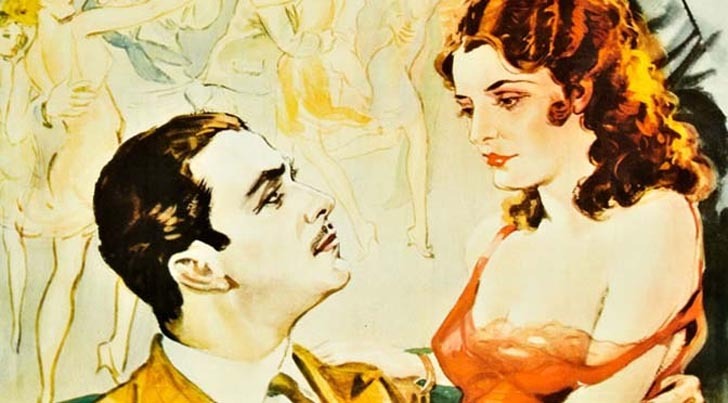 The song inspired the March 1931 film of the same name starring Barbara Stanwyck. Elsie Carlisle recorded two takes of it with Jack Payne that same month that appeared on different issues of Columbia CB249 (Jack Payne did a version with either Ella Logan or Betty Bolton in between Elsies’s two takes, but it was rejected). The next month Elsie made a solo recording on Imperial 2469. The song was recorded in America in 1930 by Ruth Etting, The High Hatters (with vocal by Welcome Lewis), June Pursell (listed as “Moya Mack” on Panachord), and Grace Hayes. German singer Greta Keller recorded a noteworthy version in Berlin in October 1930; she would produce yet another the next year in London. In 1931, in addition to the Jack Payne versions, there were British versions of the song recorded by Roy Fox and His Band (with vocalist Betty Bolton, in a Spike Hughes arrangement), Jerry Hoey and His Band, Jack Hylton and His Orchestra (with vocals by Pat O’Malley), Harry Hudson’s Radio Rhythm Boys (with vocalist Sam Browne), Nat Star and His Dance Orchestra (as Louis Ramel and His Band, with singer Tom Barratt), Jay Wilbur and His Band (with Betty Bolton), and Clive Erard’s Dance Band.